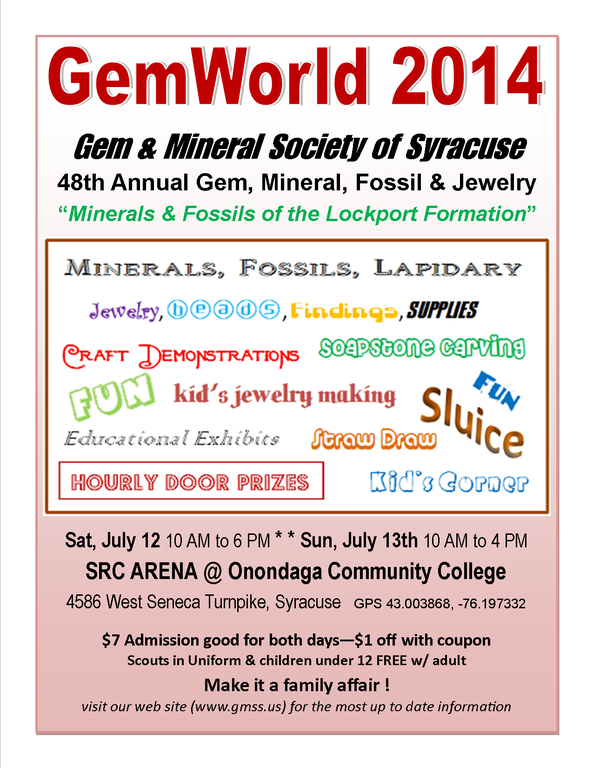 The Gem & Mineral Society of Syracuse has sent the following announcement for their GemWorld 2014 event being hosted at the SRC Arena on the OCC campus next Saturday (12th) and Sunday (13th). Flyer below. A google map of the SRC Arena is below. I plan on attending Saturday in the early afternoon just to see what kinds of meteor collections (and collectors) might be present here in CNY. If you plan on attending, let CNYO know!